Join us as we kick off another stellar season of kayaking on the Sunshine coast. 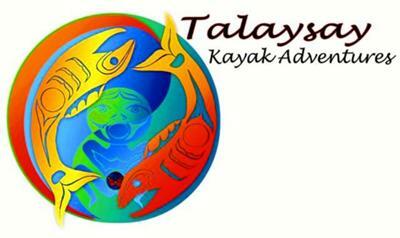 From 2pm to 5pm Talaysay staff will have the kayaks on the beach ready for a quick paddle. If you haven't been out this year this is the day to get out on the water. It's free and it's fun and it's part of the festive atmosphere you'll find in the park on May 21st. You will also find a bbq happening from 4-6pm and music in the amphitheatre in the evening. The weather is expected to be perfect for all these activities so if you were looking for something to do this saturday this is it!